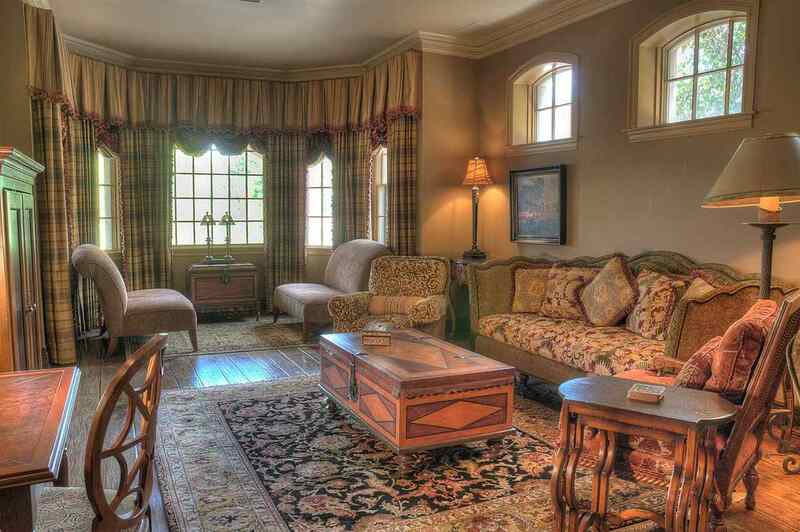 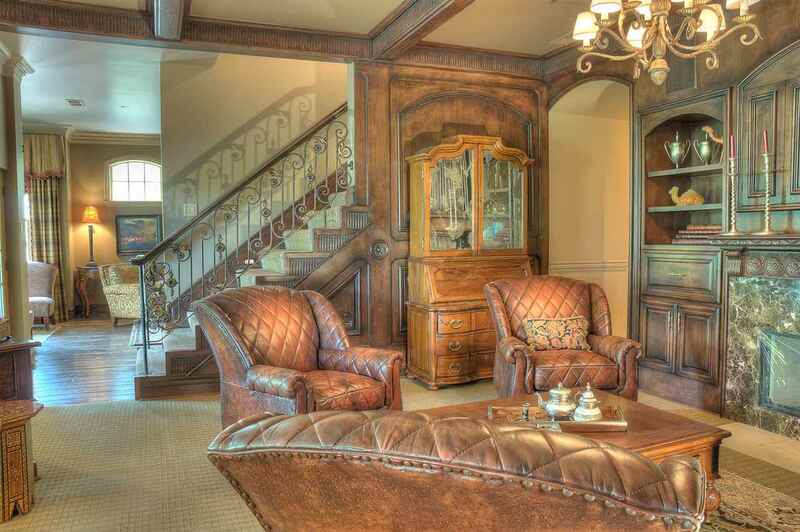 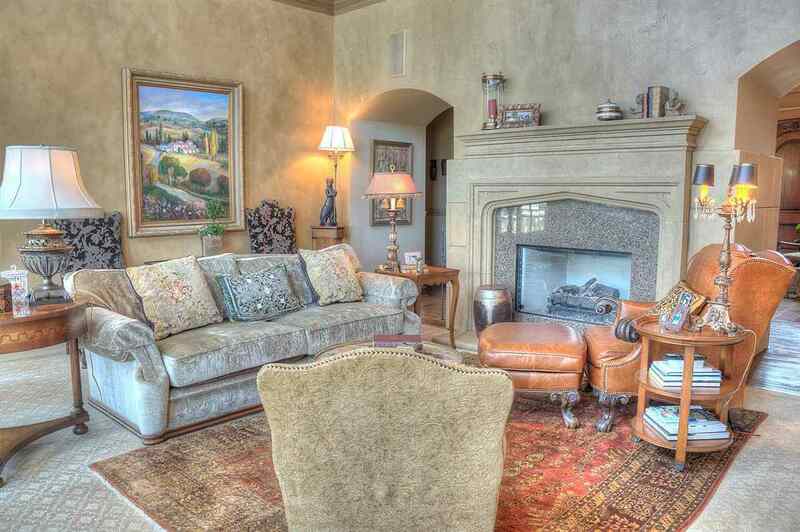 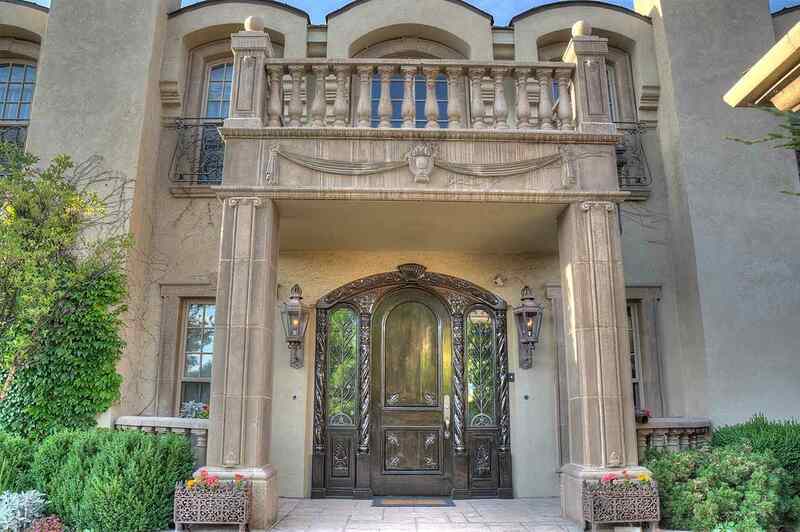 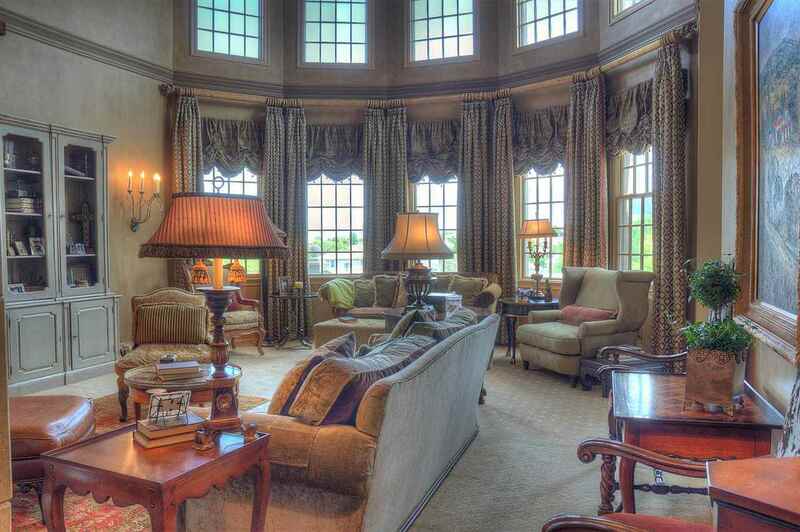 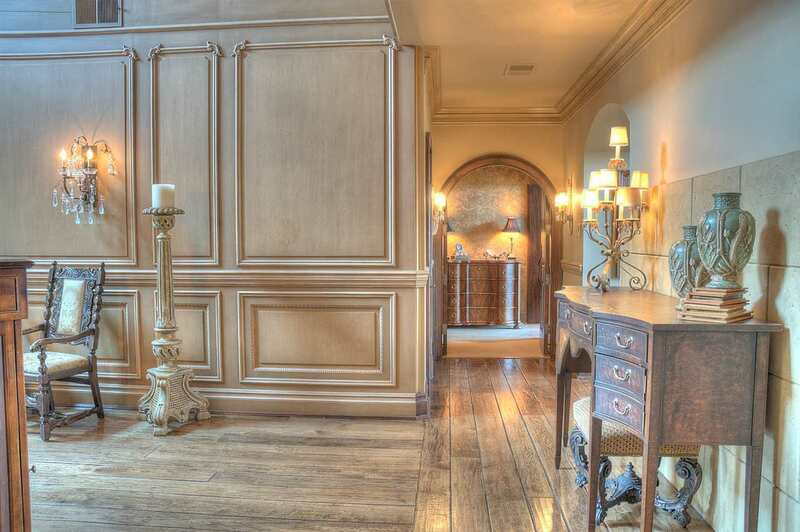 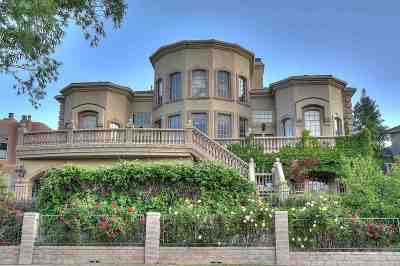 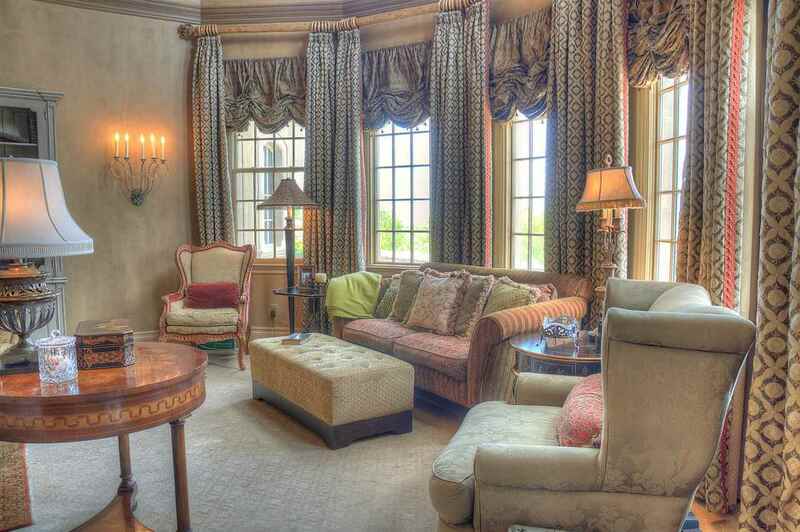 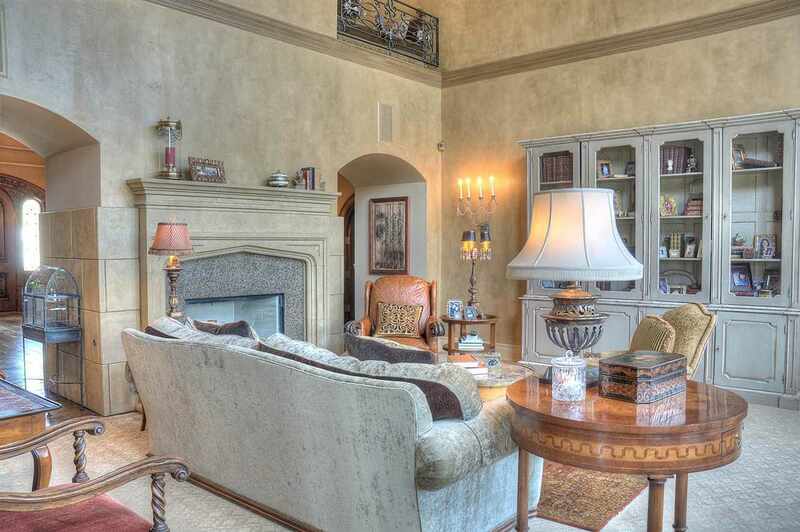 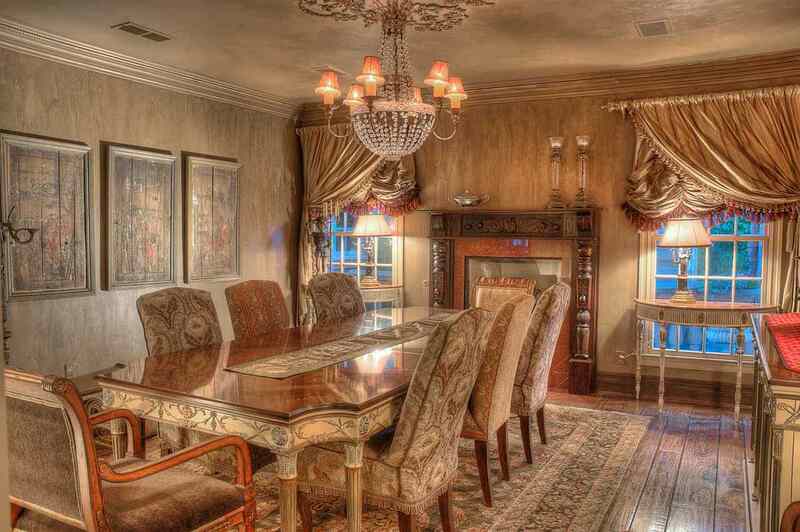 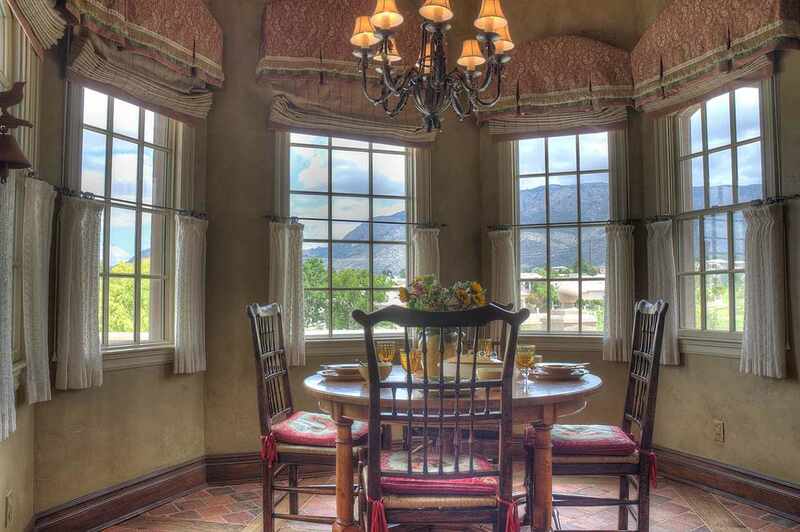 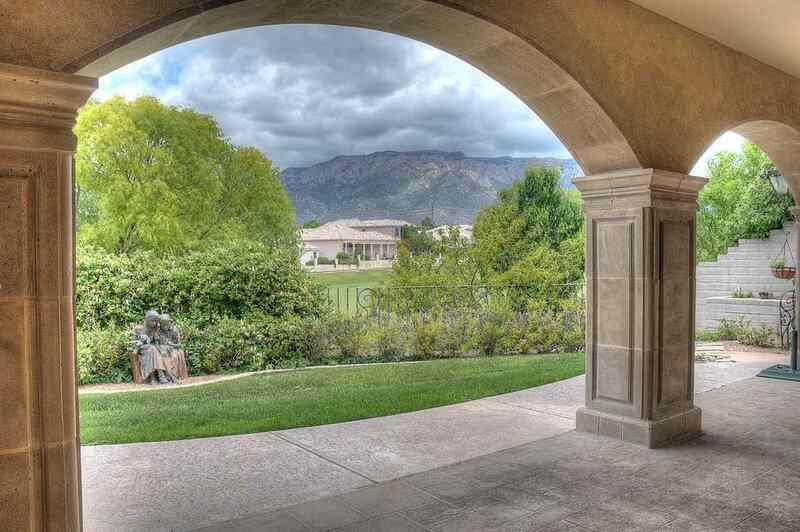 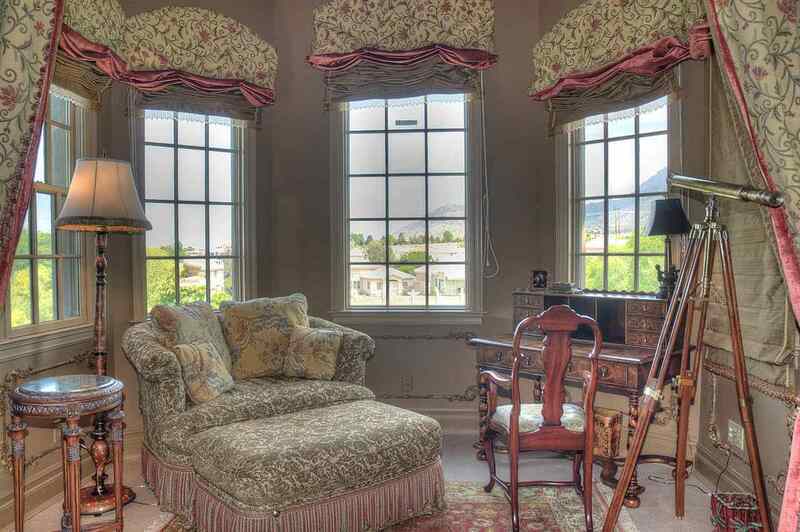 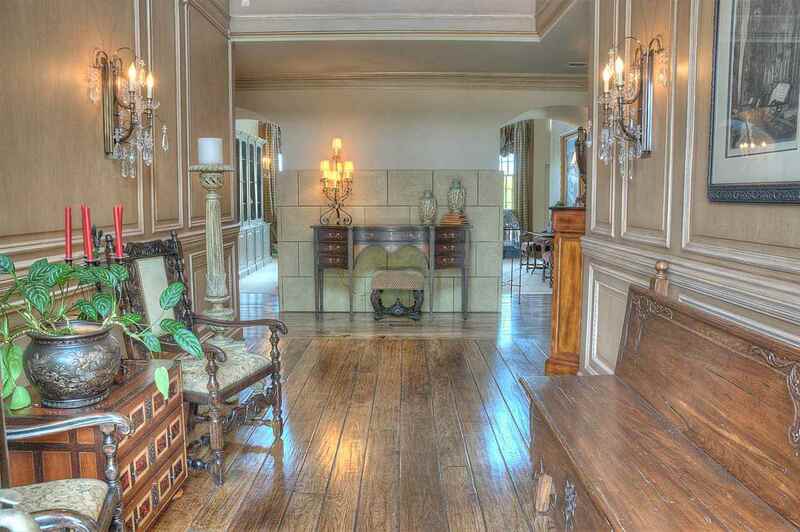 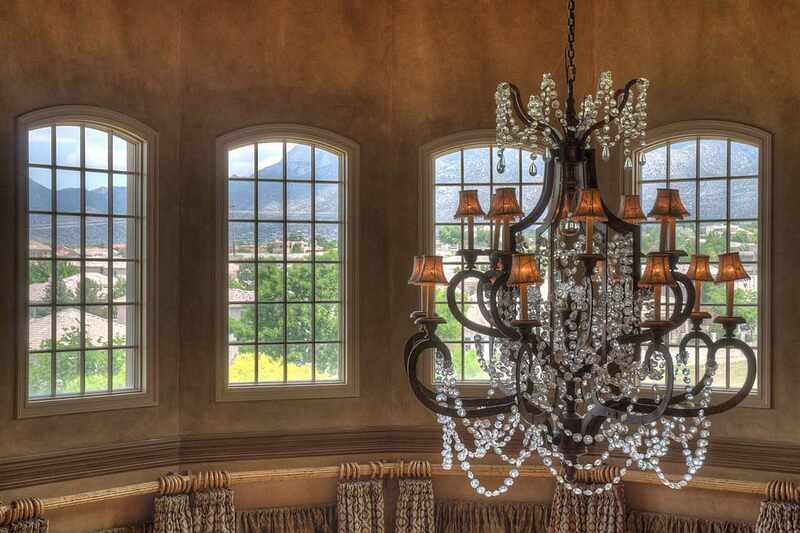 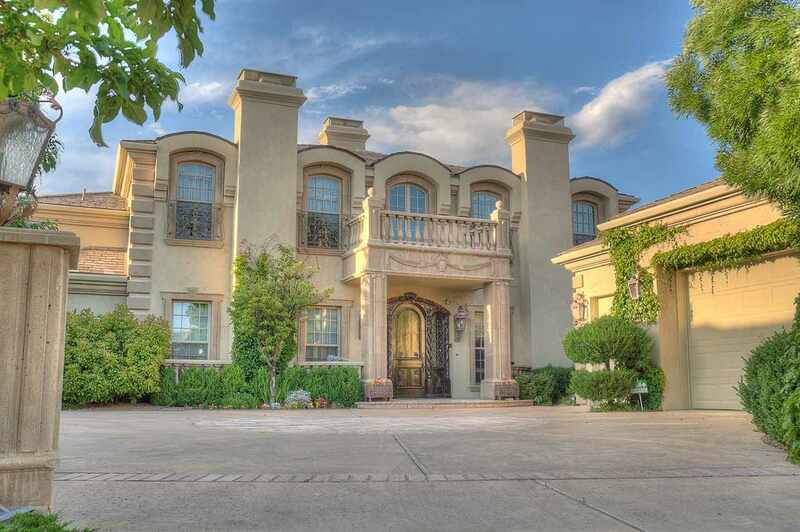 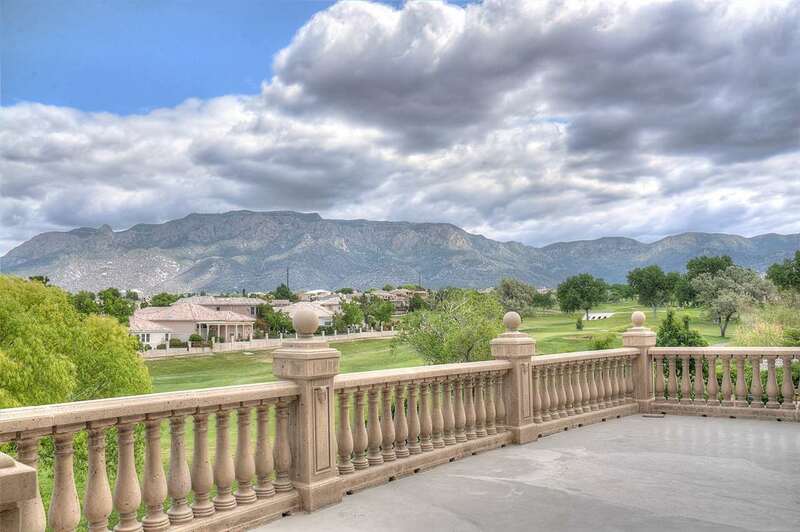 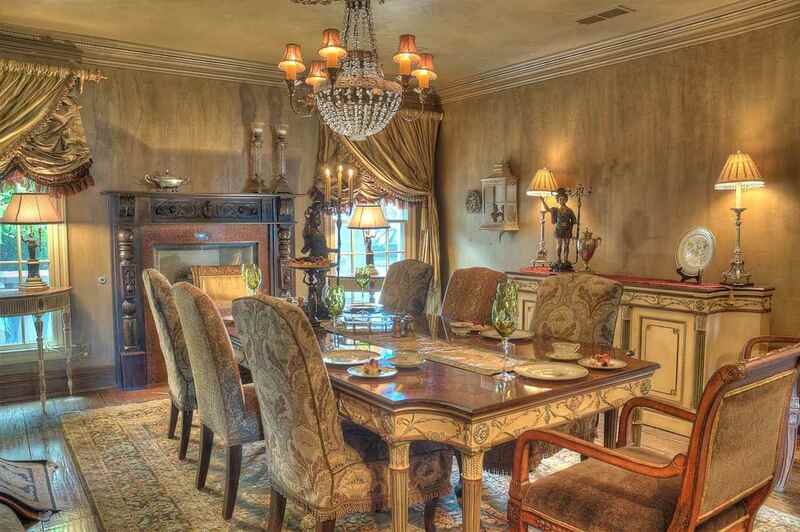 This French-Renessance Inspired Home is a Distinctive Property of Unprecedented Grand Scale, Beautifully Sited on the Tanoan Golf Course w/ Magnificent Sweeping Views of the City & Sandia Mountains. 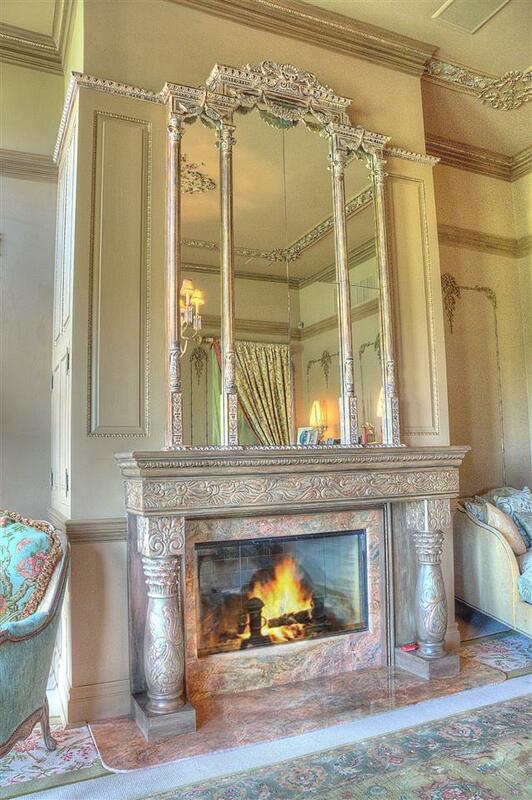 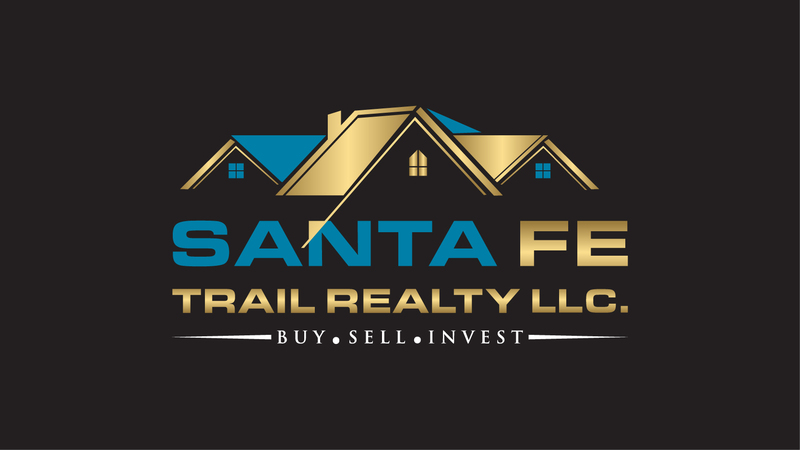 The finest finishes, an intense attention to detail while achieving the warmth & inviting feeling of home! 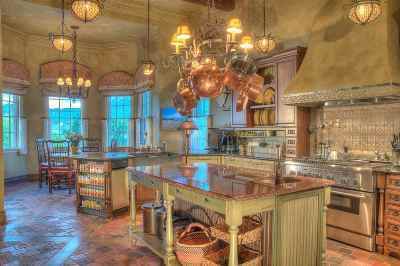 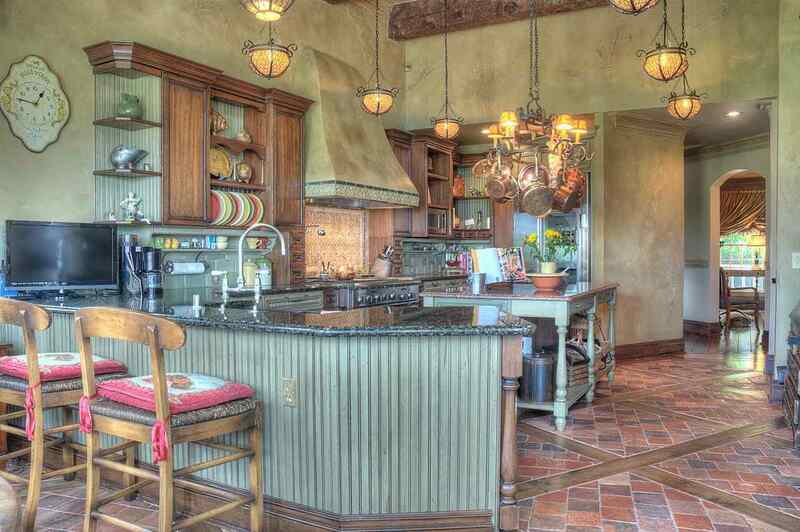 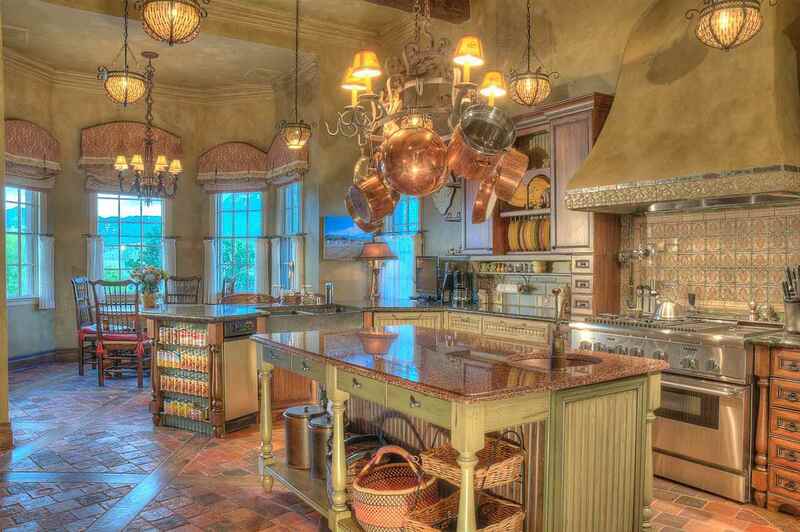 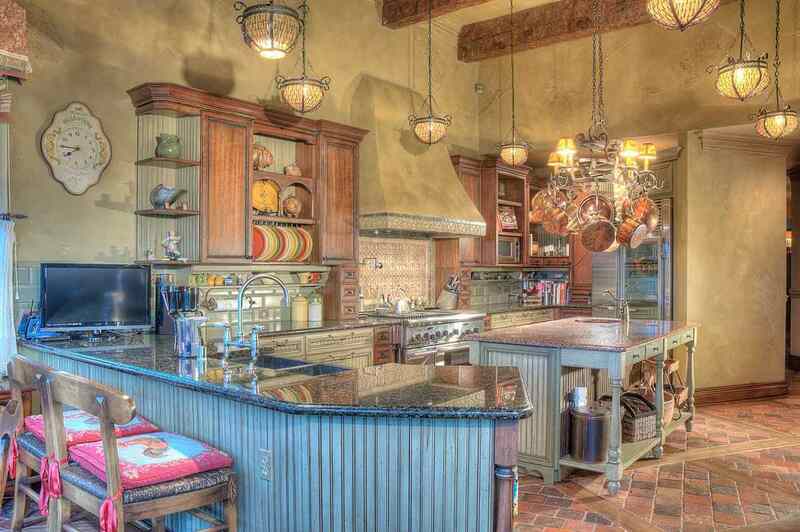 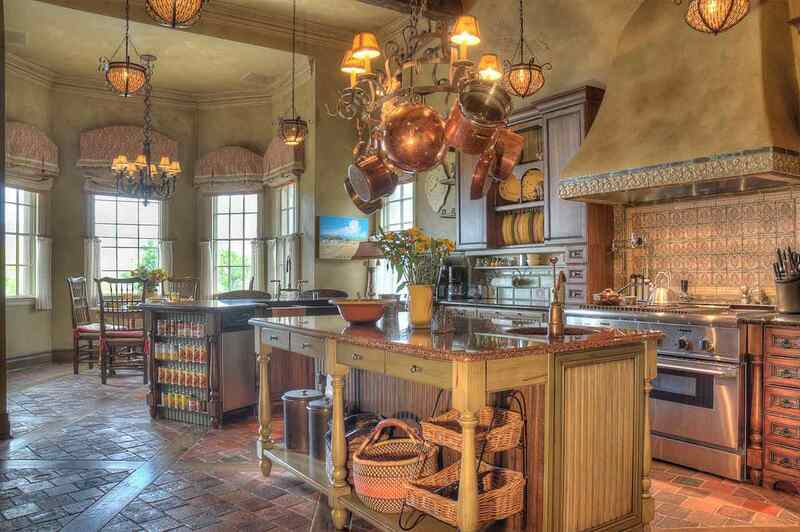 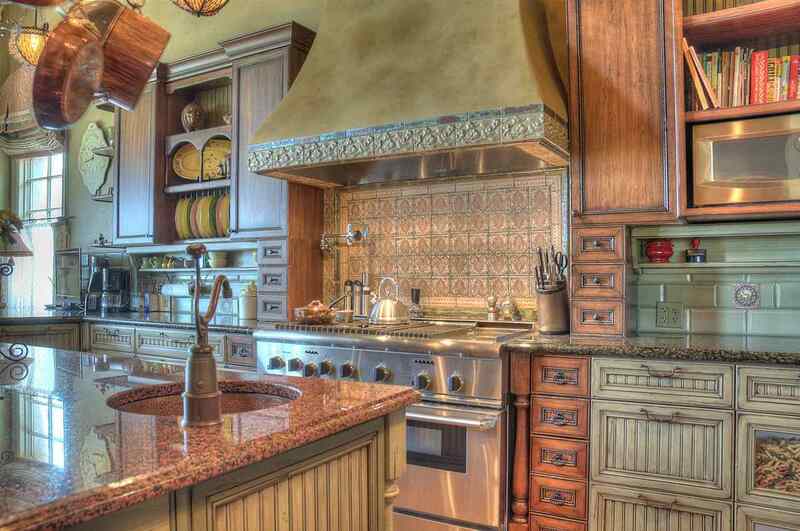 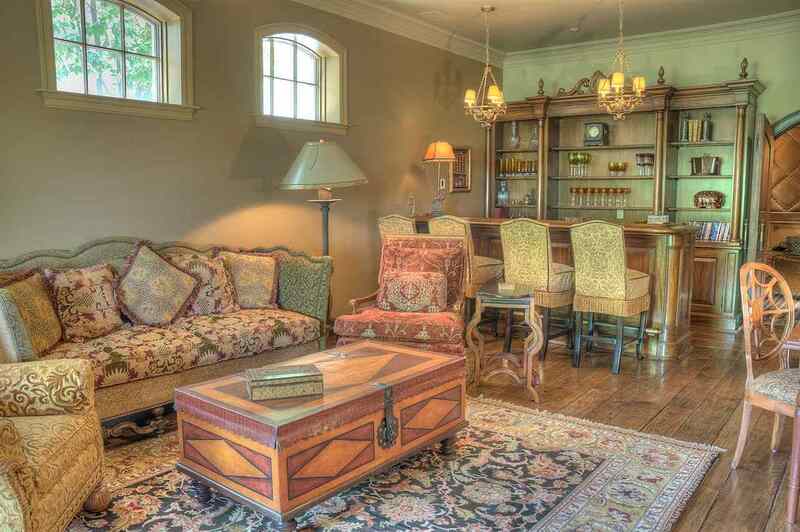 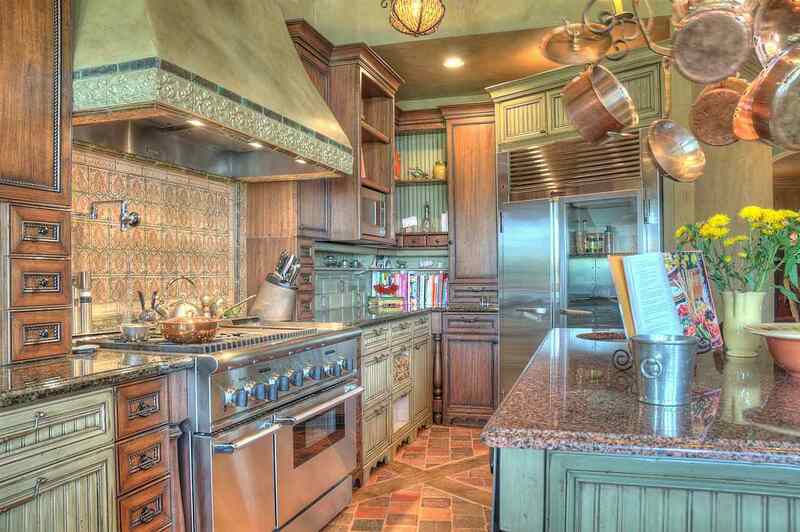 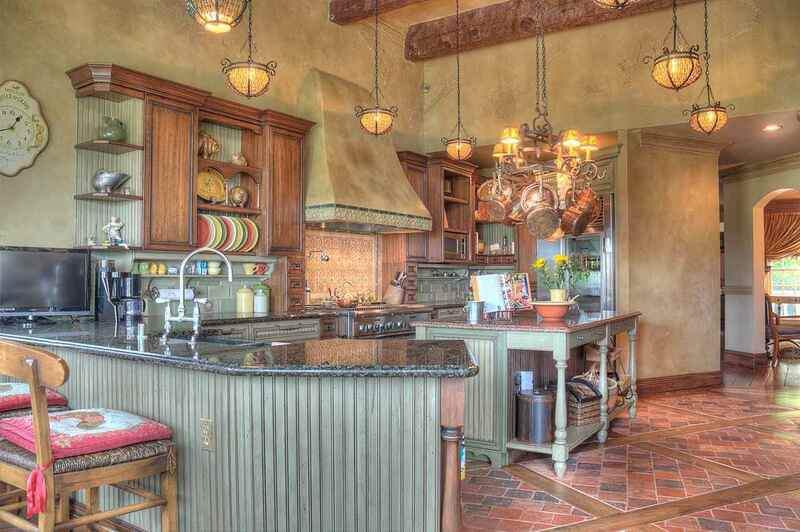 Provencal-style gourmet kitchen is a delightful space to cook & entertain. 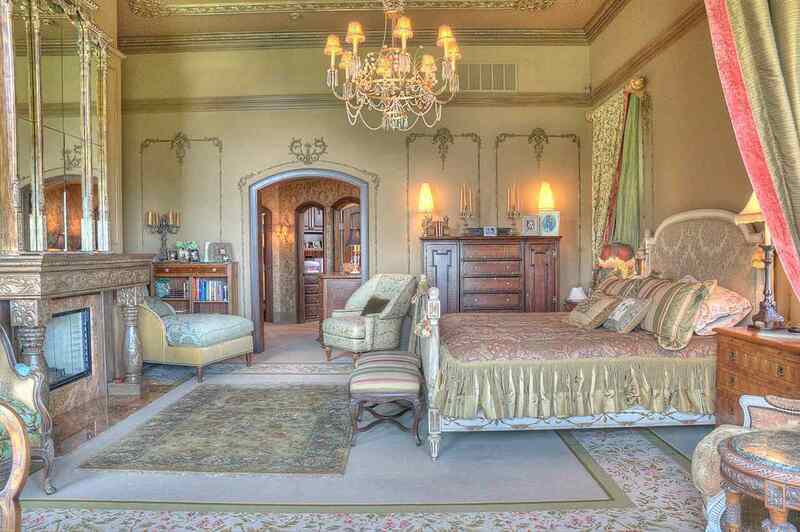 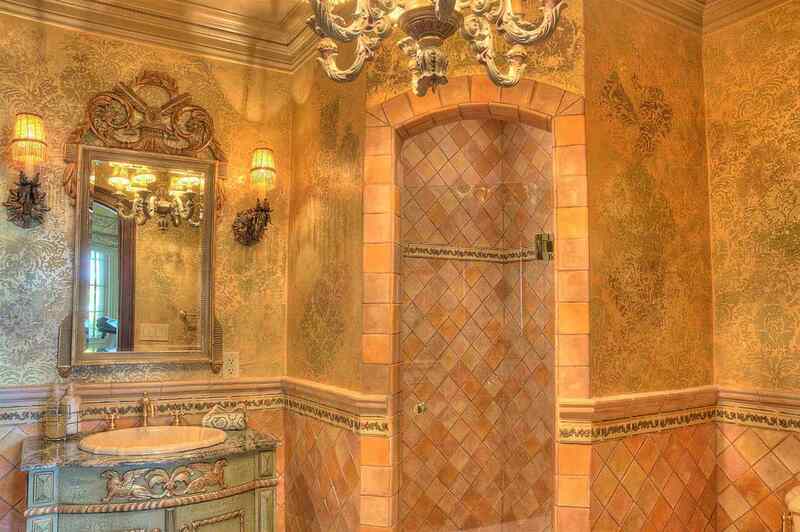 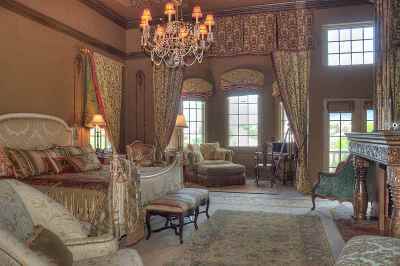 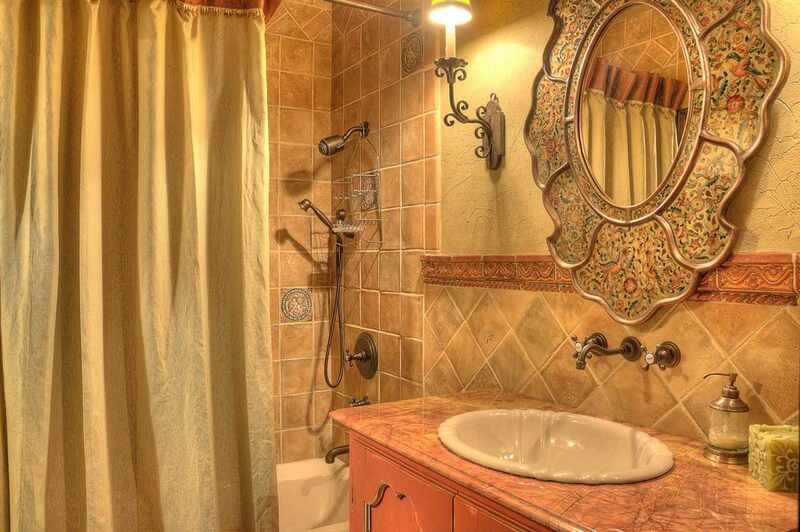 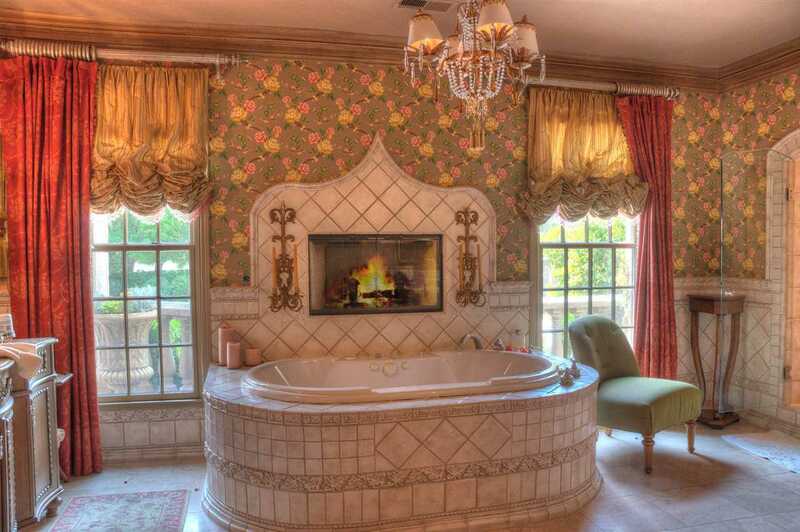 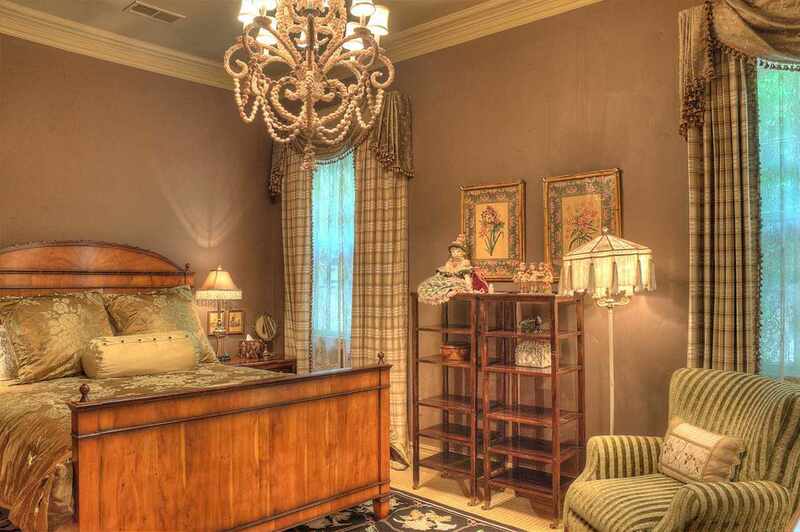 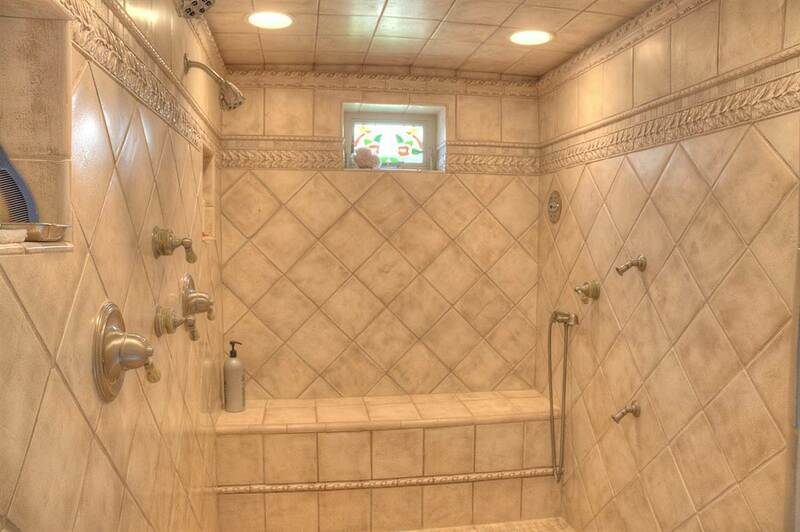 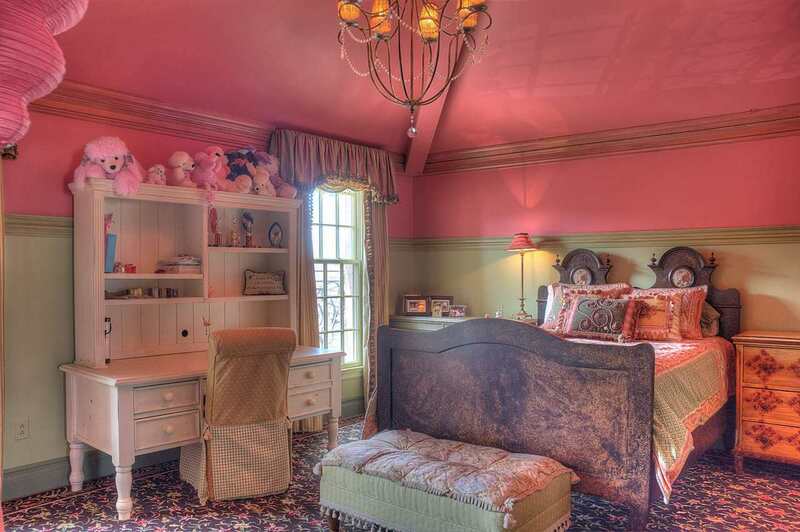 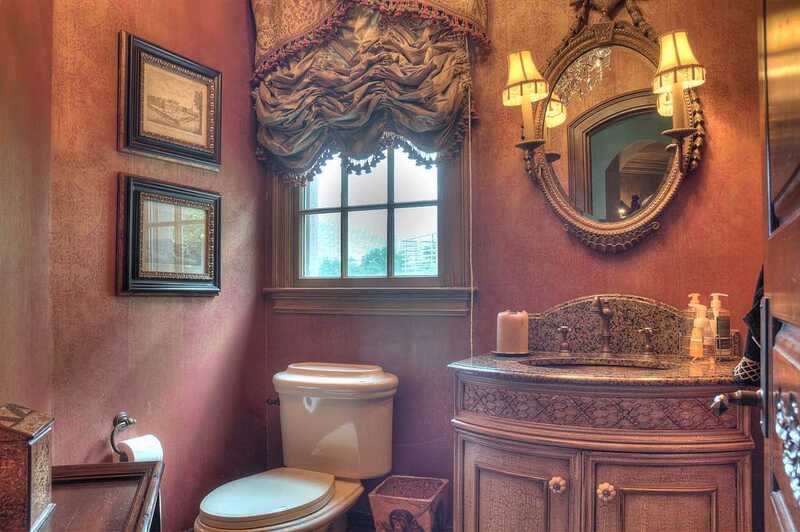 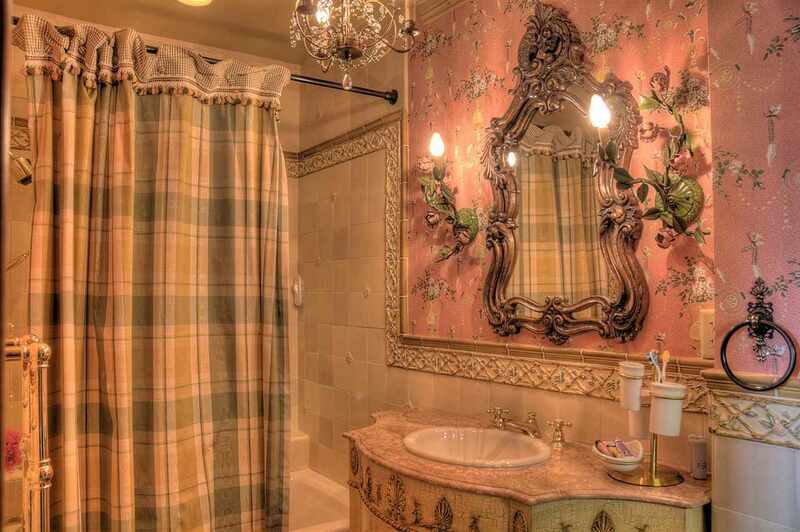 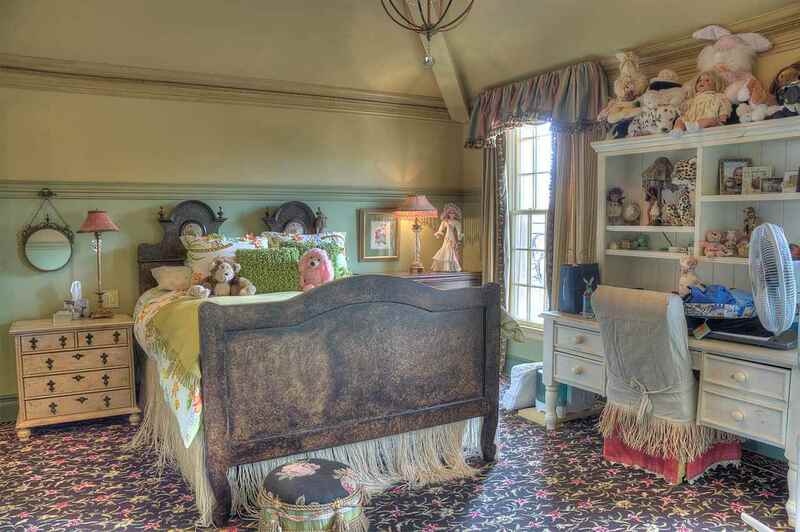 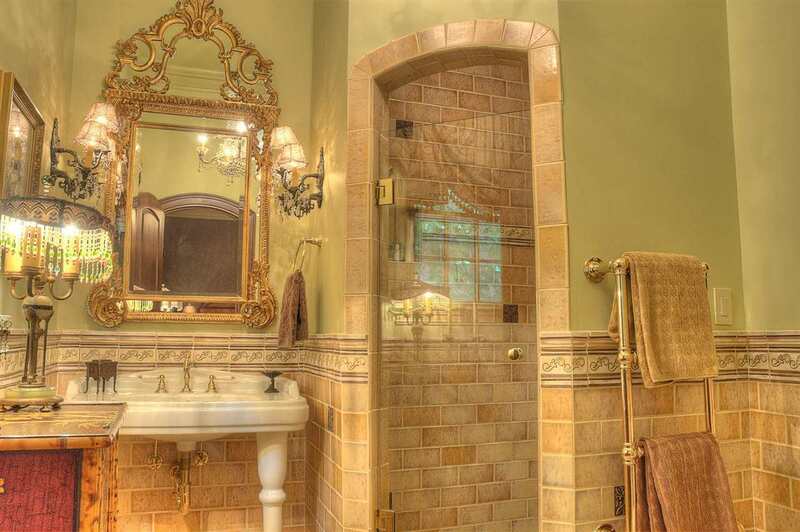 Master suite is located on the main level w/ impressive hand painted 14&apos; ceilings, designated seating area, ornate fireplace, grand master bathroom + his & hers walk-in closets. 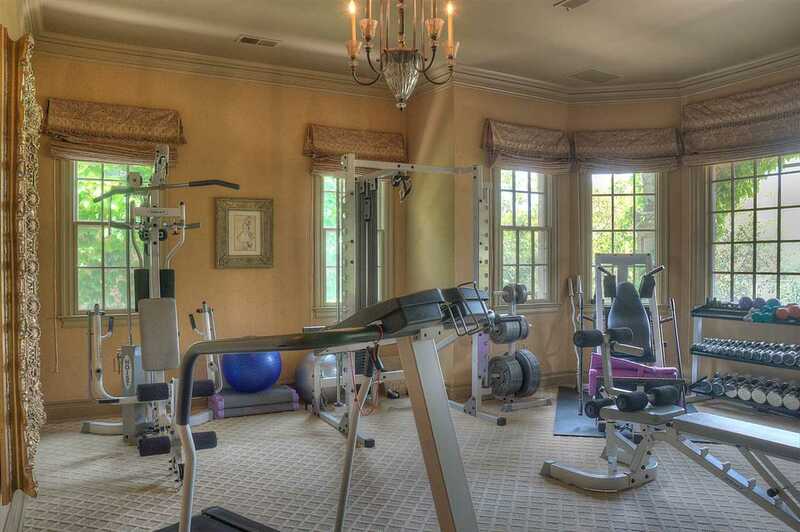 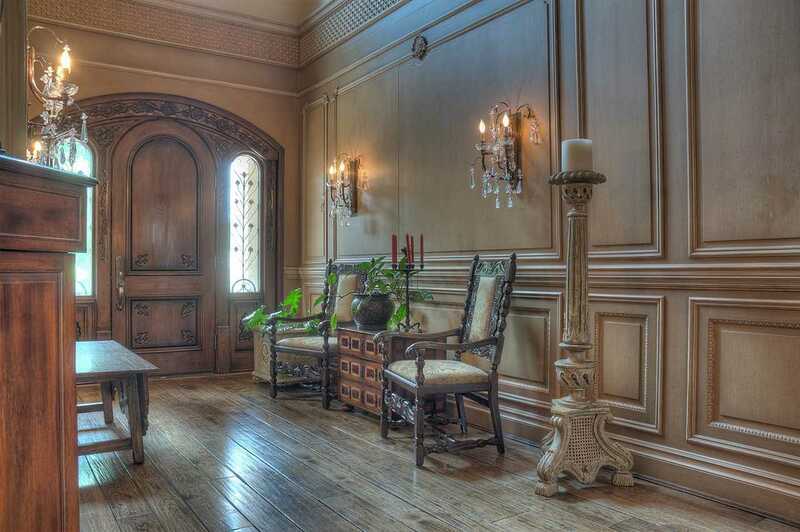 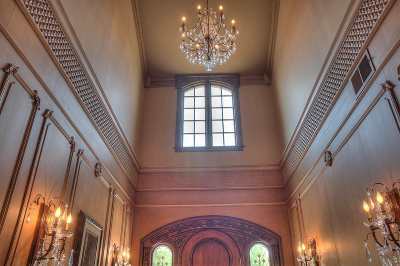 Crafted with the intention to impress, expansive great room features 25&apos; ceilings, office/library has mahogany wood paneling & coffered wood-inlay ceilings, media/theater room with 10&apos;&apos; sound-insulating walls & Klipschom speakers. 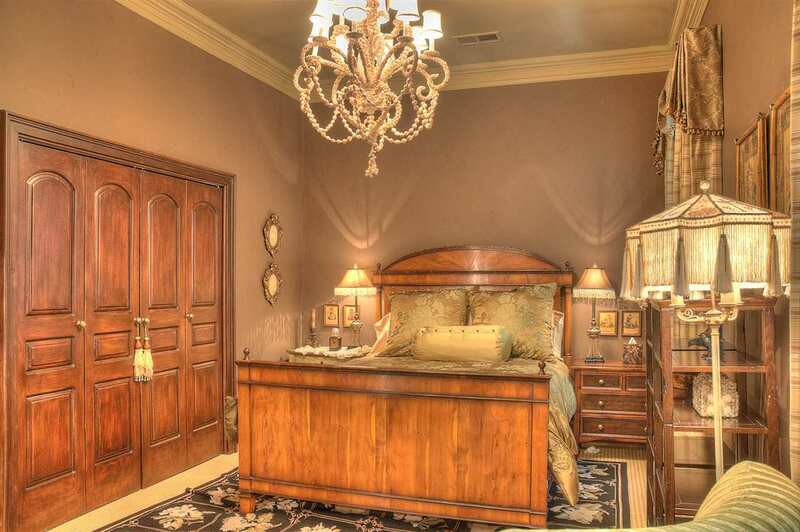 All guest bedrooms are spacious & have lavish ensuite bathrooms! 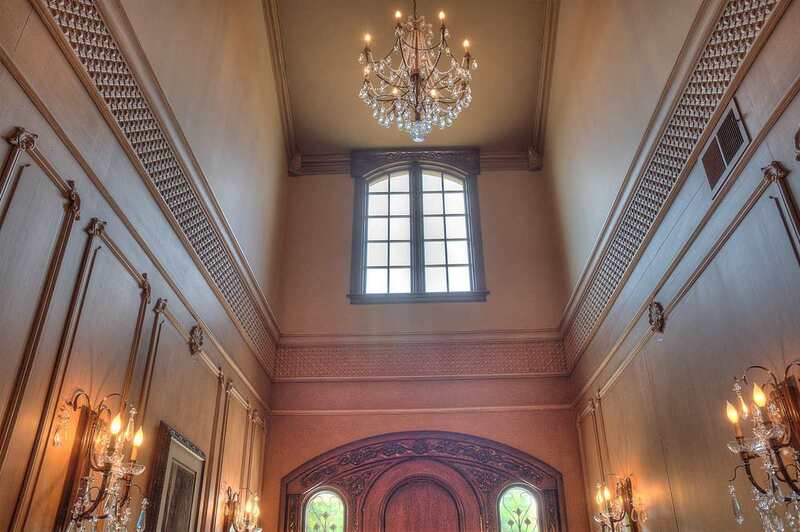 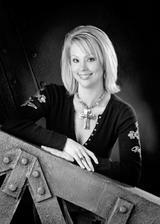 Authentic old-world materials are used throughout the architecture including reclaimed tile from a 200 yr-old French chateau, wide-plank hickory/pecan hand-scraped wood floors, wrought-iron railings, gas fueled exterior lighting, gold leaf, hand painted accents, masterful woodworking & molding throughout. 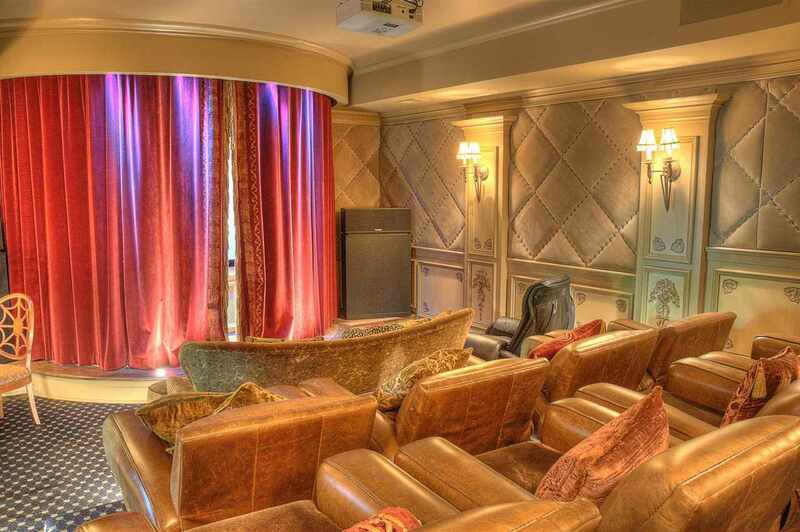 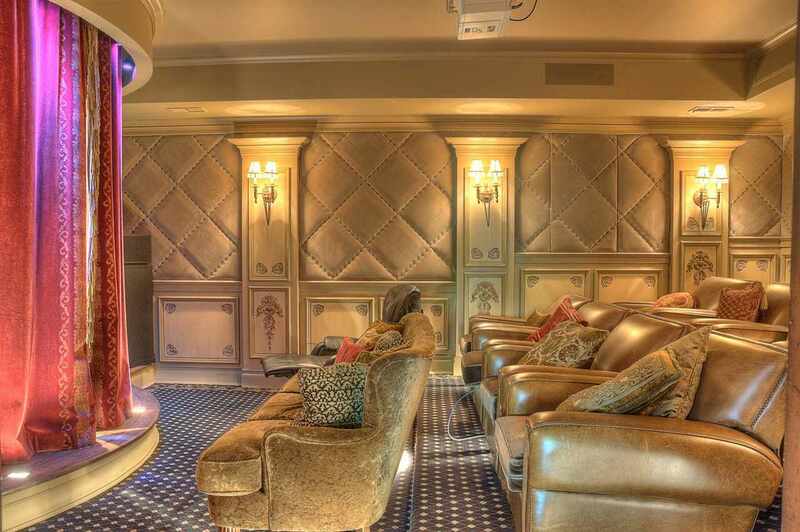 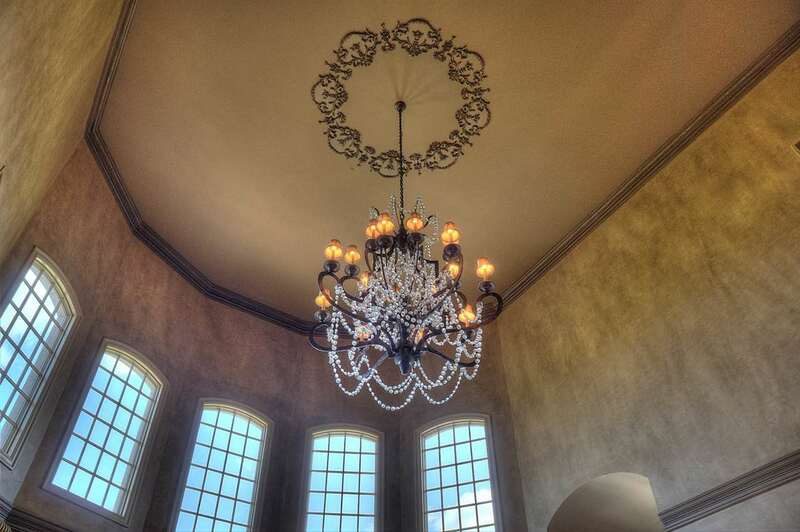 Lutron lighting, fiber/coax in all rooms, wall-sensor radiant zones & custom audio systems are a perfect blend, harmonizing new technology with old-world charm. 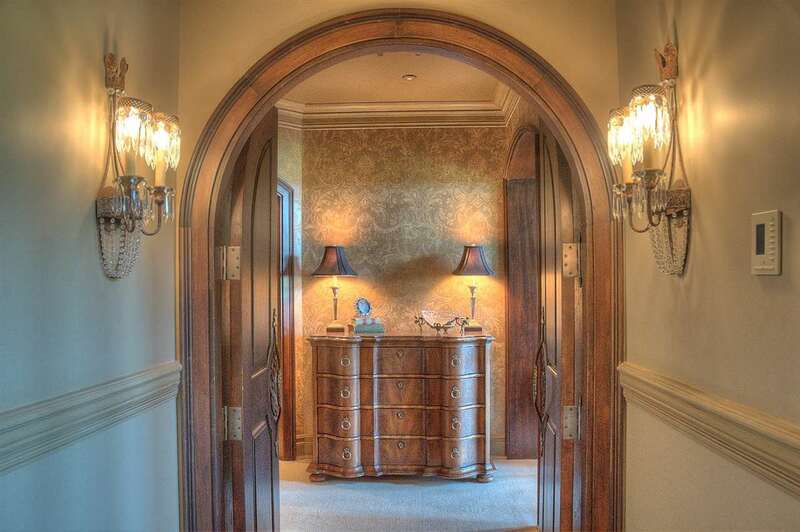 Unparalleled craftsmanship took 3 years to perfect this stately home; come experience the elegant, casual lifestyle that the Inverness estate offers.